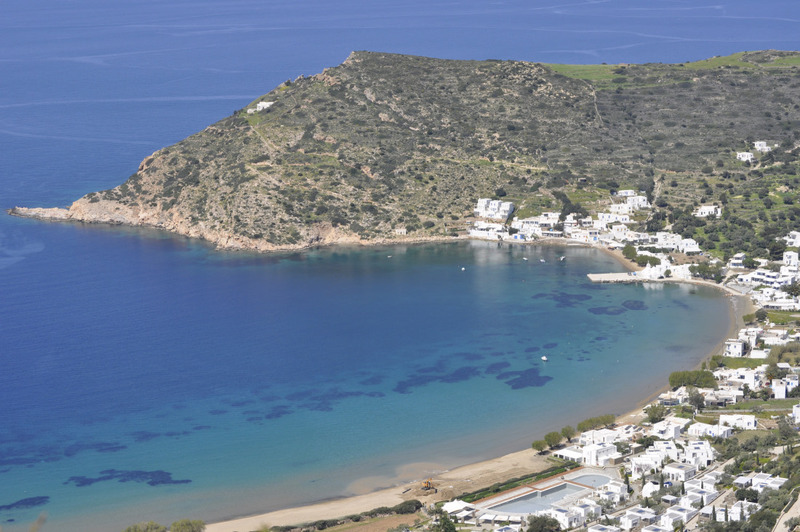  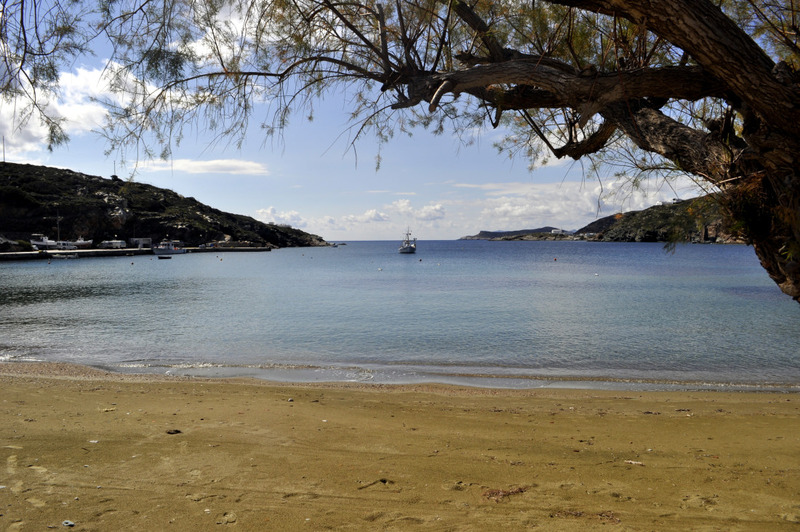 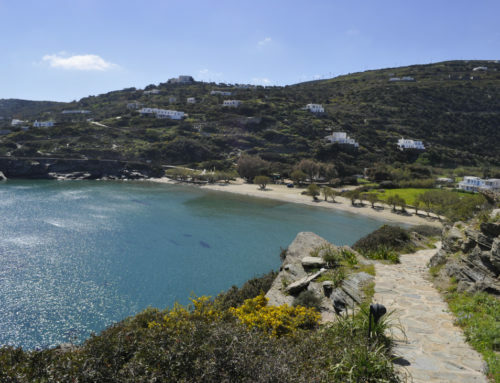 Trail 4 is one of the two loop trails of Sifnos and the second longest one. 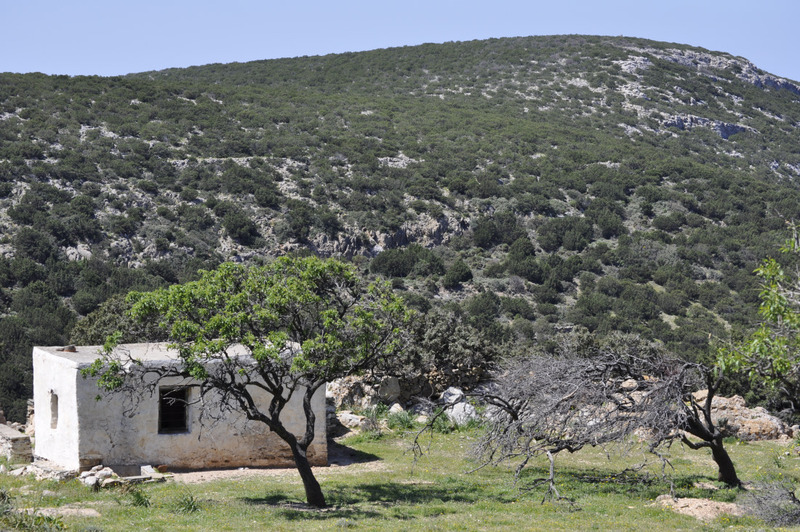 If you walk it you will literally evade from modern civilization. 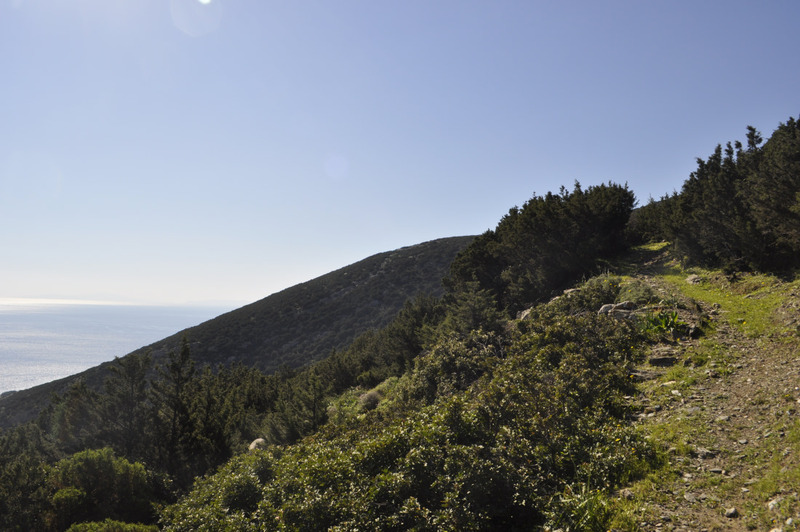 As it sets off from Platys Gialos it soon reaches the heights, climbing steeply a slope full of junipers. 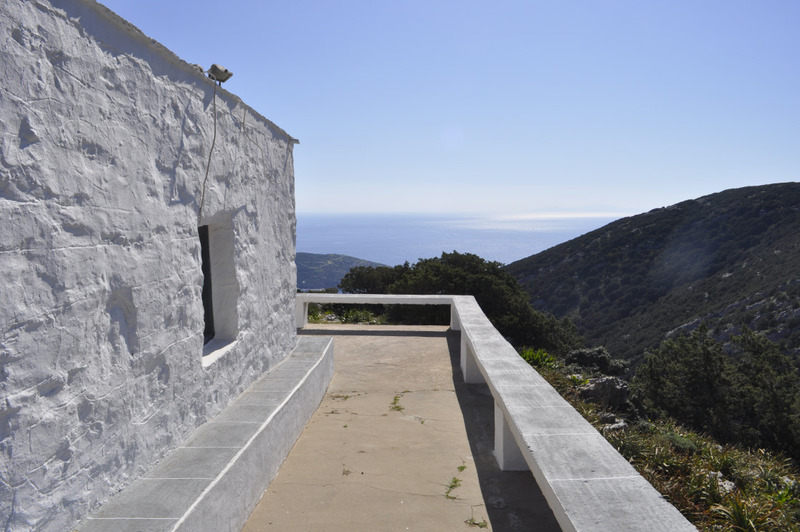 At the end of the ascent, there is Profitis Ilias Kondou, a small chapel with the gathering rooms next to it. 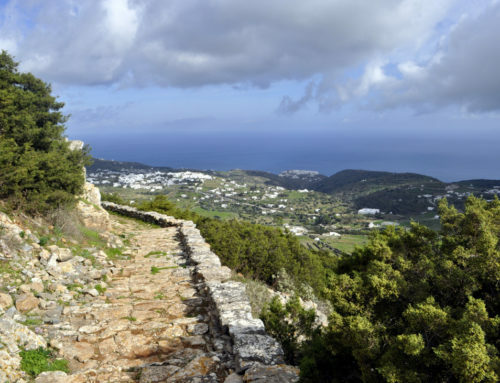 Get around the church and the unlimited view will reward you for the effort to climb up here! 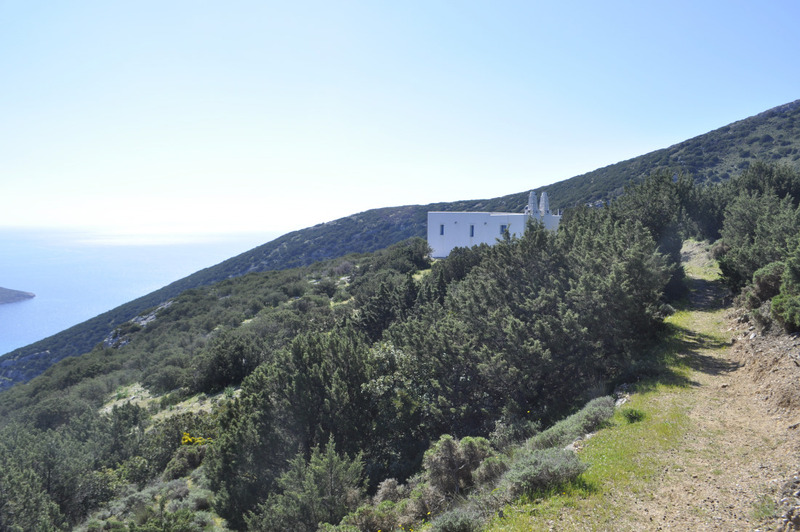 Leaving the church behind, the trail continues almost at the same altitude until it reaches the other side of the hill, offering panoramic views that constantly change as you walk to the west. 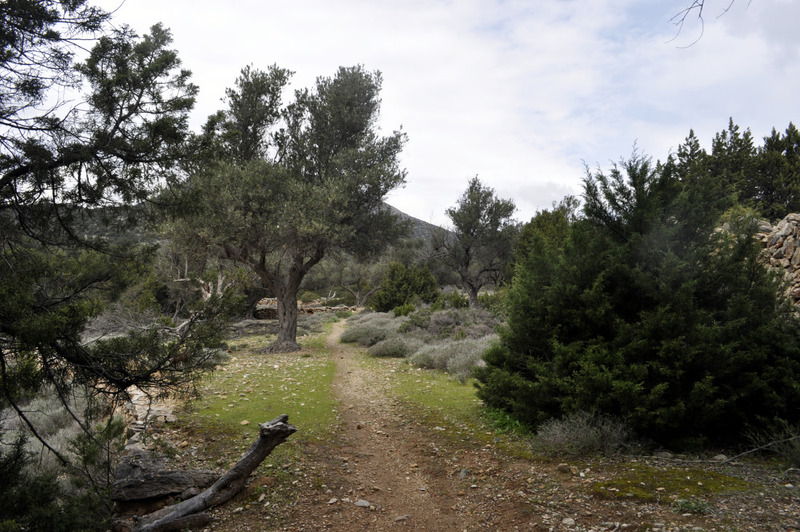 A few hundred meters on a dirt road and again on a natural path, once more between junipers. 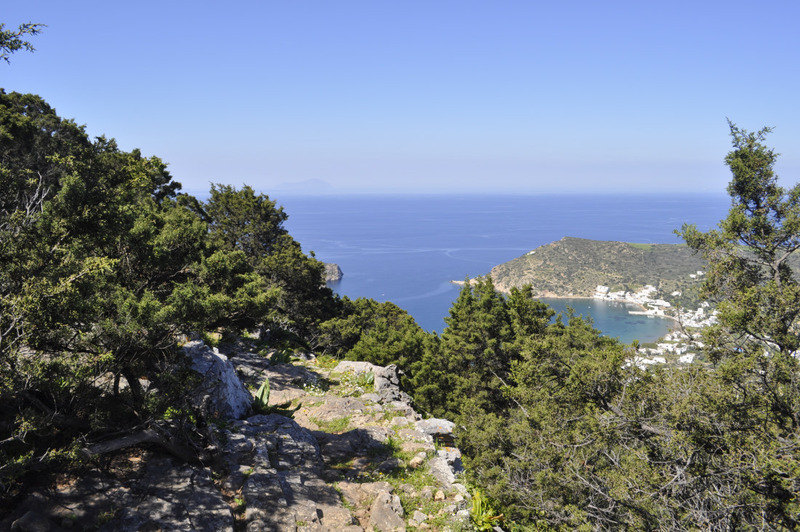 The descent towards the remote bay of Fykiada is one of the best parts of the whole Sifnos Trails network. 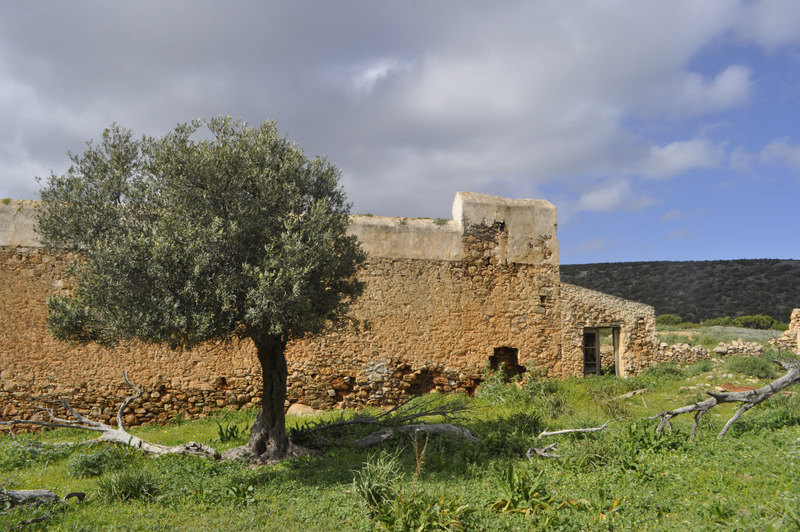 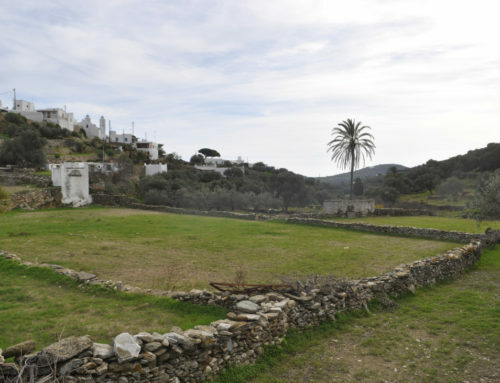 After reaching the beach, you will walk on an old and very peaceful olive grove till you suddenly reach the abandoned mansion of Moussia, with its well protected internal court. 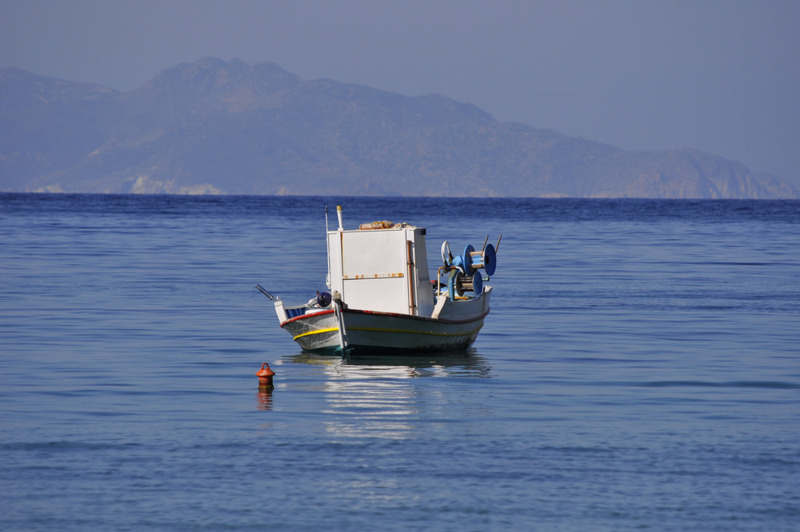 From Moussia, only a few hundred meters separate you from the colourful, volcanic rocks coastal walk. 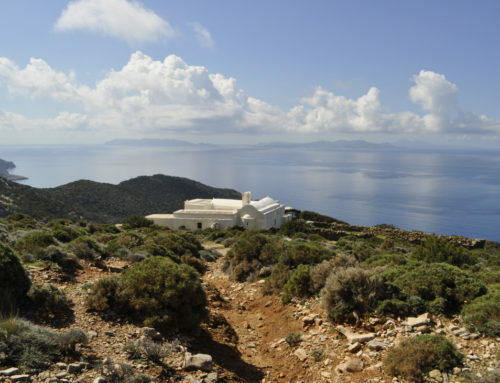 In the opposite side, you might observe the small chapel of Kitriani, on the homonym island. 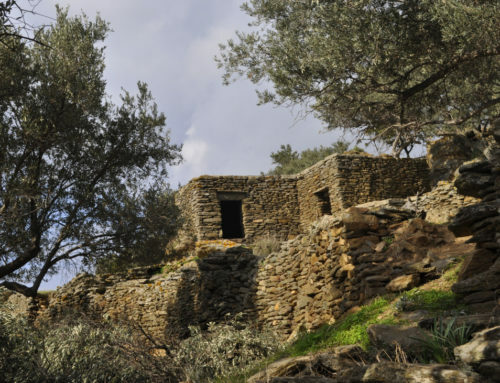 It is the oldest church of Sifnos! 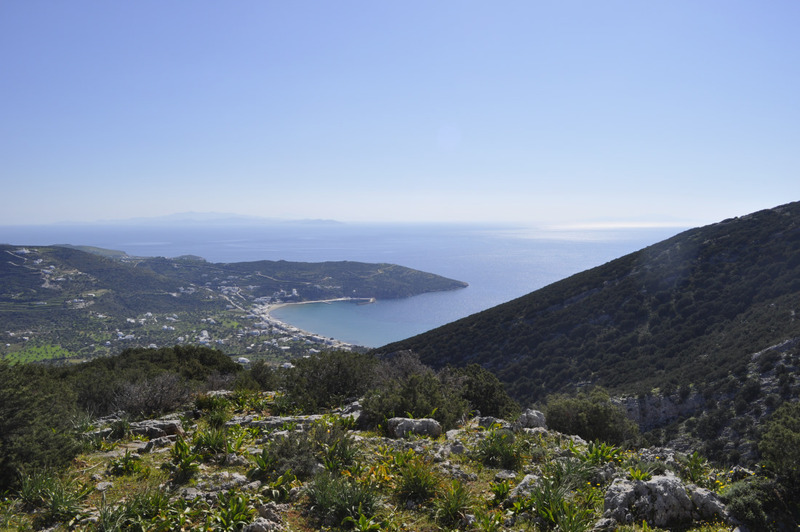 The coastal walk ends with a steep ascent, right before passing the hill that separates you from Platys Gyalos. 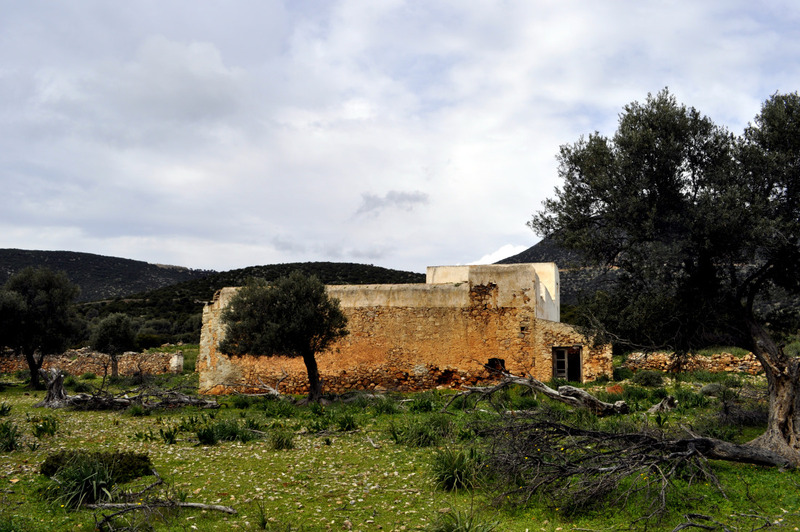 A few hundred meters to the north of Profitis Ilias Kondou church, a way-marked junction connects the trail to a bus stop on the bus line between Apollonia and Vathy. 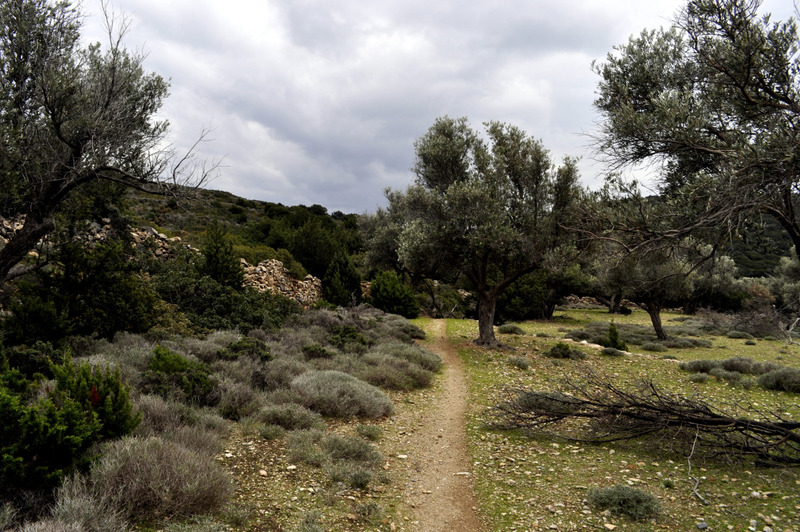 Trail 4 can also be walked as a back and forth from Platys Gyalos to Fykiada, or as a connection between Platys Gyalos and Vathy (using the trail 4A alternative). 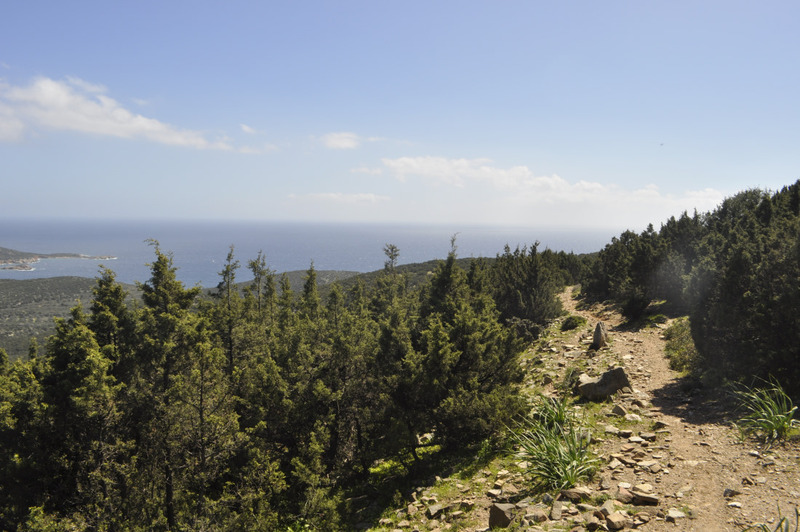 Trail 4A is an alternative start of trail 4. 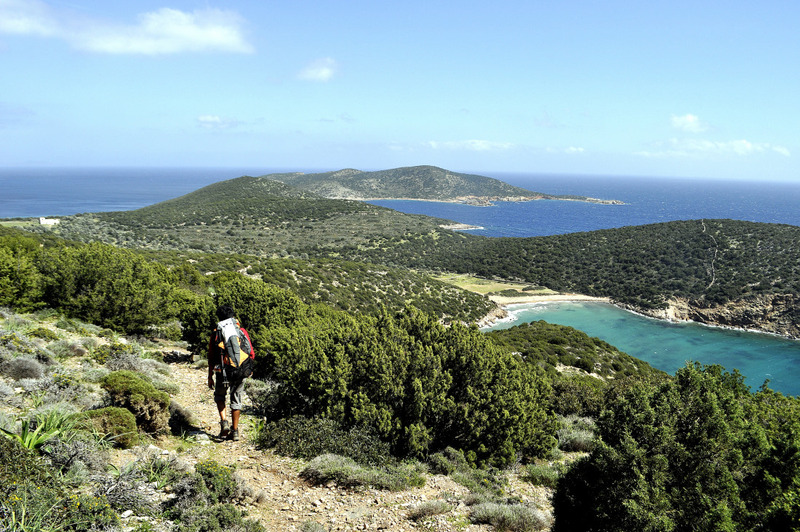 It links trail 4 to Vathy bay, and to the trailhead of trail 5. 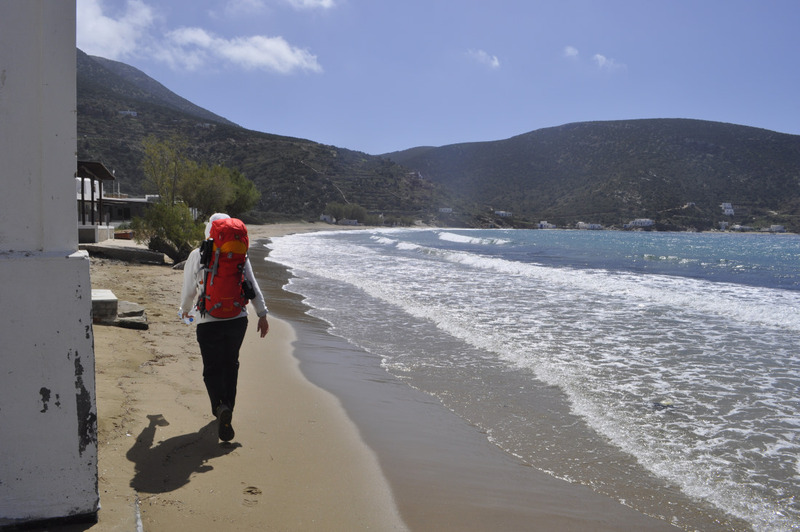 Part of the trail is a nice beach walk on the bay of Vathy.